It is difficult to find the best-suited hire for the job, especially when you are faced with many choice sources with a very small budget. Not all job seekers visit the same sourcing channels or actively seek out jobs. 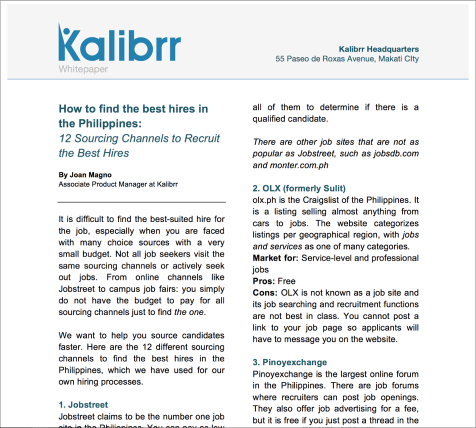 From online channels like Jobstreet to campus job fairs: you simply do not have the budget to pay for all sourcing channels just to find the one.